A client of Dell & Schaefer contacted our firm after receiving a letter from her disability carrier terminating her claim after paying for 24 months. Life Insurance Company of North America, also known as Cigna, paid benefits recognizing a disability based on PTSD (Post Traumatic Stress Disorder). Ms. T, had been working as a transplant coordinator for 14 years and her job required her to deal with families of deceased within 1 hours of death of the family member. The stress of the job eventually forced her to stop working. In addition to her mental health condition, Ms. T suffered a stroke resulting in memory and cognitive issues that would cause her to get lost when driving even in familiar places. She also suffered from fibromyalgia, chronic interstitial cystitis, gastro intestinal issues and several sleep disorders. According to the denial letter, Cigna had recognized that Ms. T was disabled due to her mental health condition and her policy contained a 24-month mental health limitation providing that the policy would pay a maximum of 24 months of benefits for disability due to mental health conditions. Cigna terminated the claim subject to this limitation and gave Ms. T the right to appeal. The 24-month mental illness limitation is a common limitation in disability insurance policies and a common basis for a claim denial. However, often claims involve a mental health as well as a physical disability component and not all mental illness limitations are the same. When Ms. T contacted our firm she indicated that she had severe limitations resulting from physical conditions but Cigna failed to properly evaluate the effects of those physical conditions. The denial letter referenced Physical Abilities Assessment forms completed by two of Ms. T’s treating physicians. Based on the PAA forms, Cigna reached the conclusion that Ms. T would have the ability to perform a sedentary occupation as well as her previous occupation which was considered light duty. 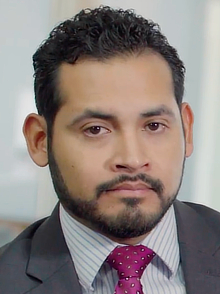 While preparing the appeal, Attorney Peña and his team recognized several errors and inconsistencies in Cigna’s review. The PAA forms did not support Cigna’s conclusions. A careful read of the PAA forms indicated that Ms. T actually had less than sedentary work capacity although Cigna misinterpreted the report. The appeal pointed out this inconsistency and provided additional evidence corroborating the treating physicians’ opinions. Attorney Peña arranged for Ms. T to undergo a Functional Capacity Evaluation which produced a report that was perfectly consistent with the PAA forms on which Cigna supposedly relied and which indicated less than sedentary work capacity. The appeal also provided a detailed summary of Ms. T’s medical records that showed Ms. T had been suffering from physically debilitating symptoms long before the 24 month mark. These symptoms resulted from conditions that should not be subject to the 24-month policy limitation. After reviewing the appeal, Cigna overturned its denial of benefits and reinstated Ms. T’s claim. Dell & Schaefer continues managing Ms. T’s claim with Cigna.